Once again, Debra from Sweet Shapes would love to offer a giveaway of some wonderful cookie cutters. This time not only one (1) winner but four (4) will be able to win some lovely cookie cutters. Three other winners will each receive a turkey cookie cutter Perfect for Thanksgiving. The Frugal Rhode Island Mama is hosting giveaway for a $100 visa card The contest is sponsored by Scotts tissues and runs through November 16. I know everyone could use a bit of extra christmas cash so head over and sign up. 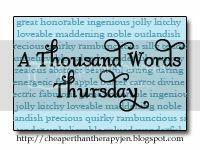 There are so many great blogs out there that I have trouble getting to all of the ones I love. I went back and visited a lovely blog named PB and Pickles (dont you just love the name) and found a cool giveaway. They are currently hosting a giveaway sponsored by Pearl Distribution where the winner will receive a pearl necklace of winners color choice. This is super cool but you have to enter by November 10, 2009. 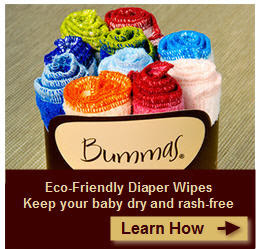 Bummas wipes are 100% cotton woven velour terry cloth that eliminates the use of talcum powder. Bummas wipes are available of variety of colors and sure to fit most nursery themes. Bummas wipes are the perfect hand size measuring 5" x 7" and are durable to last simply throw them in the washer and use again and don't worry Bummas wipes will not pill, shrink, or fade. Bummas wipes can be used over and over and last through months of wear and tear possibly out lasting the time your child is in diapers. Besides being used to change babies bottom Bummas wipes are great for burp and feeding cloths, perfect for that quick emergency clean up, perfect for those little red runny noses, or for the babies bath. Whatever you need a small soft wash cloth Bummas has the wipe for the job. Win: One lucky Annie's Home winner will receive their choice of Bummas Wipes. Contest starts today and ends December 1, 2009. Good Luck and all are welcome to enter. Please have email in comment or on blog. 1. In a large bowl, mix flour, baking soda and salt. 2. Beat butter and peanut butter until smooth. Gradually add sugar, beating to blend. Beat in egg and vanilla. Stir in flour mixture and butterscotch morsels. Form into a large disk and wrap in plastic. Chill for 2 hours or overnight. Guess Who's Coming to dinner is a meme hosted by THe Krazy Kitchen where guest share their recipes and ask you to do so as well. This snack can be used to teach your child a lesson of thanksgiving to your children as well. Two Blue Peas was featured on Oprah Magazine. Yeah. Currently there is a contest on this blog sponsored by Two Blue Peas. Check out the 12 days of socks as featured in the magazine or any of the other lovely goodies at Two Blue Peas by visiting their website. I am a mother of six and grandmother to 1 and have 2 special nephews that I have cared for since birth. I have to tell you that I love the special times of cuddling together with the little one. The Sleepy Wrap was created in 2003 when a mother was looking for a healthier and more natural alternative to baby strollers. Since holding a little one seems to comfort, provide safety and is the natural thing to do then why would one ever decide to use a stroller with their little one? The problem was that with all the baby carriers on the market which one is the perfect one? You want one that distributes weight evenly on back and shoulders as well as the material needs to be sturdy enough to provide support for the baby. The sleepy wrap provides both of the first needs and also offers a soft material that helps provide comfort to the little one. As with any wonderful product word began to spread and soon the decision was made to make the sleepy wraps available to everyone. Buy: Want one of the Sleepy Wraps for your self? You can order directly off their website located at http://www.sleepywrap.com/ For the next 30 days you can use the code "shopannies" and save another 10% or locate a store near you by visiting this link. Win: I received a Sleepy Wrap of my own to review and would love to pass it on to one of my readers. All that you need to do is follow my blog and place my button somewhere. Then come back here and let me know you did that. Easy as can be I will draw the winner on December 1, 2009. Whose coming to dinner and where will they sit when they get there? Why not make some super cute place cards and create a lovely place setting where everyone belongs and no one fits out of place. You can find great place card printouts and ideas all over the internet but here are a few I found. you can printable place card holders at About.com as well. Simply print out on cardstock and fold in 1/2. 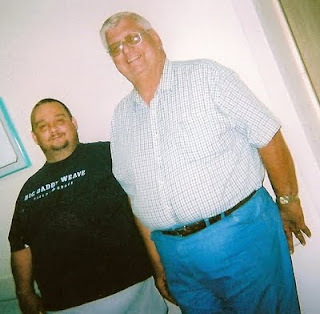 This is a picture of two proud papas. Picture was taken a year ago when Princess was born. I did not think that I would be able to play along with this one but the other day while cooking in the kitchen with my nephew he commented "you have a fat but" to which everyone in the room cracked up. shared at 5 minutes for mom where you can share yours as well. Do you have a special little one in your life that you will be buying a Christmas present for? Have you seen the eebees adventures products. 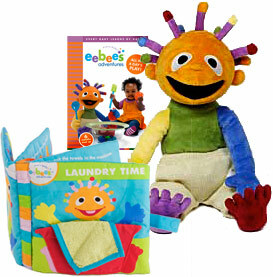 From DVDs to Puppets to great books Eebees Adventures has the perfect product you may be looking for. My granddaughter loves colorful items to play with and loves great and fun DVDs. 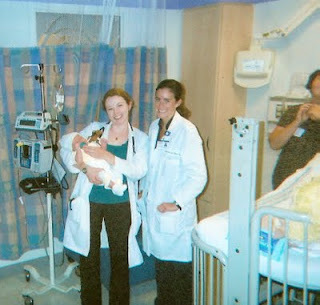 I believe that early learning and being introduced to books at a young age are great for children. How super cool to be able to introduce your child to reading via a fun friend Eebee. I can tell you that Princess loves her Eebee puppet and the DVD's that we received as well. The DVDs are all about a toddlers life and how great they would be to watch with your preschooler. Beautiful fall weather is what we have been experiencing as of late. I just love to see the beauty in Autumn. The leaves changing the apple season and the memories I have for both. Combine first 10 ingredients in a large bowl; cover and marinate in refrigerator at least 4 hours or up to 24 hours. Remove the chicken from marinade, reserving marinade, and pat chicken dry. Place flour in a shallow dish. Dredge the chicken in flour; set aside. Cook bacon in a large Dutch oven over medium-high heat until crisp. Remove bacon from pan, reserving drippings in pan; set bacon aside. Add half of chicken to pan; cook 4 minutes, browning on all sides. Remove chicken from pan. Repeat procedure with remaining chicken. Remove onion and carrot from marinade with a slotted spoon, reserving marinade. Add onion and carrot to pan; sauté for 5 minutes or until softened. Stir in marinade, scraping pan to loosen browned bits. Add chicken, bacon, dried plums, and bay leaves; bring to a simmer. Cover, reduce heat, and simmer 1 hour and for 20 minutes or until chicken is tender. Discard bay leaves. Garnish with parsley, if desired. As I said my room has many functions but the looks of it could use some spiffying up. While we spent allot of money on the kids rooms when we moved in our room is the one that has not been upgraded. All though my room is the room that receives the most attention from all members of the family it is the last to have anything done to it. That is why I all I want for Christmas is my walls painted, new curtains for the windows, some new linens for the bed, a rug to cover the floor and just a bit more to show love to my room. In other words all I want for Christmas is my room made over. You can enter to win a chance to make over your room in the http://www.visionbedding.com/BeddingContest.php sponsored by Vision bedding and Twitter Moms. Last spring I reviewed Tickle Me Plants you can read that review here When I was contacted by Larry again to share about the special stocking stuffer tickle me plants he had I just had to fill you all in. Tickle Me Plant is a great project for home schools or anyone looking for a great project to do at home. Tickle Me Plant allows you to grow your own Tickle Me Plant. Tickle Me Plant products are sold as single plants, greenhouse classroom kits, party favors, painting set, as well as the flower power pellets and other items that help your plant grow. The tickle me plant can be grown inside the house year round. Part of which makes them so fun. Even when nothing else is green outside your tickle me plant can grow inside the house. The Tickle Me Plant company wants every child to learn to love growing plants by making the Tickle Me Plant such a great beginner plant. Every Tickle Me Plant comes with a set of science projects to do with the tickle me plant which makes it the perfect plant to learn from. How can you go wrong when the Tickle Me Plant is so great? Win a tickle me plant perfect for stocking stuffer. Larry from Tickle Me Plant wants you to have a great time and give a little gift of excitement to someone special so he would love to give one of Annies Home readers a plant of their own. To Enter: You must visit the Tickle Me Plant website and let me know what product you are most interested in. 1.For chocolate base: Preheat oven to 375 degrees. Line a 9-inch square baking pan with aluminum foil, leaving a slight overhang; butter bottom and sides of foil (not overhang). 2.Place butter in a large microwave-safe bowl; melt in microwave. Add sugar and salt; whisk to combine. Whisk in egg, then cocoa and flour until smooth. Spread batter in prepared pan. 3.Bake just until sides begin to pull away from edges of pan, 10 to 15 minutes (do not overbake). Let cool slightly while preparing coconut topping. Keep oven on for topping. 4.For coconut topping: In a medium bowl, whisk eggs with sugar and vanilla. Gently mix in flour and coconut (except 1/2 cup reserved for sprinkling). 5.Drop mounds of mixture over chocolate base; spread and pat in gently and evenly with moistened fingers. Sprinkle with reserved 1/2 cup coconut. 6.Bake until golden and a toothpick inserted in center comes out with moist crumbs attached, 25 to 30 minutes. Cool completely in pan. Lift cake from pan, peel off foil, and cut into 24 bars. Store in an airtight container 3 to 4 days. In honor of my sons birthday I am posting this picture of my son. He is 21 years old today. Happy Birthday to my son today. Place all the ingredients in a "Pyrex" measuring cup and heat in the microwave oven on "high" for 2-1/2 to 3 minutes until the contents just begins to boil. Pour into a coffee to tea cup and serve. 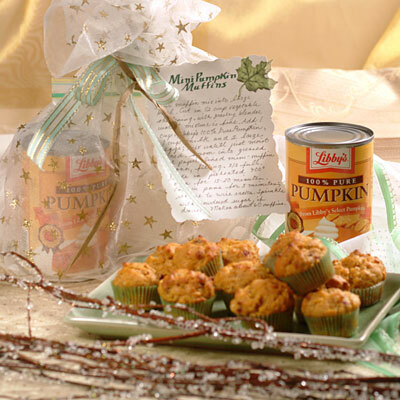 Here are a couple of great recipes I enjoy during the autumn and holiday season. You can liven the event up by placing a Cinnamon stick in each cup or by tying a colorful ( I love to use plaid) ribbon around the handle of a cup. I love to make a batch up and serve directly out of a large punch bowl into decorated punch cups. Hope you enjoy the recipes I have listed these as part of the TwitterMoms group and to Lenox who makes some of the most beautiful serving and glass ware. There is currently a contest at Twitter Moms title Lenox Drinks of the season. This Christmas will be a lovely one to say the least. The best reason of all is because we have been blessed with a precious princess of a granddaughter and two lil nephews. 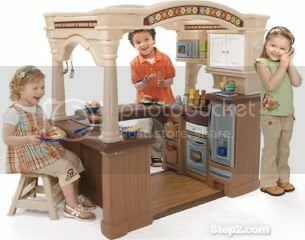 The blog Two of a Kind Working on a Full House is hosting giveaway for Step 2 Lifestyle Grand Walk in Kitchen. The giveaway is part of the Mistletoe madness that Dee is hosting on her blog Two of a Kind Working on a Full House.